Under these circumstances, it was striking to note the sheer range of number of organizations and groups involved. 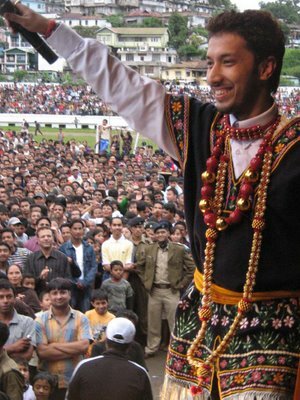 In Meghalaya, for instance, the Shillong Arts and Music Lovers Forum, Civil Society Women’s Organization, Society for Performing Arts Development, Bihari Youth Welfare Association, Frontier Chamber of Commerce, Marwari Ekta Manch (Marwari Unity Platform), and several smaller clubs in different localities of Shillong drew in people from different ethnic, caste, linguistic, and religious backgrounds, with the Amit Paul fan club serving as an umbrella organization. Working closely with local businessmen and organizations like the Meghalaya Chamber of Commerce and Industry, fans ensured that PCOs (public call offices) in residential areas and several prominent locations in Shillong remained open all night for people to come forward and cast their vote. As the contest drew to a close, fan activity intensified and funds were raised to create publicity materials and even distribute pre-paid mobile phone cards for free.6 Over a period of 3 months, it became clear that the mobilization around Amit Paul had created a “neutral” space for a range of people to work together, and the many public activities had dramatically changed the way different groups inhabited the city of Shillong. Following along online, many of these explanations made sense to me. But one question remained unanswered: given the complexities of ethnic strife, what would happen when all this fan activity around a reality television program came to an end? 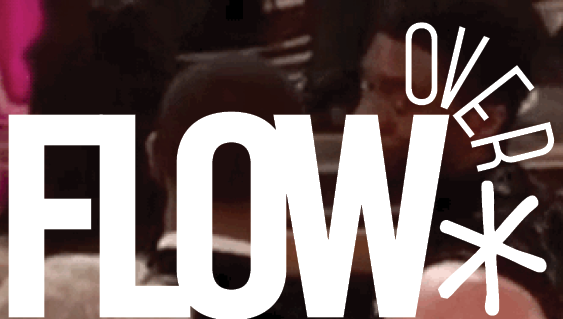 What are the cultural and political implications of fan mobilization that lasts a few weeks or months at best? And as media scholars, what conceptual and theoretical frameworks might we draw on to understand this phenomenon? To begin with, I would argue that it is problematic to regard such moments of participatory culture, enabled by mobile media technologies and practices, as nothing more than “free” fan labor harnessed by Sony Entertainment Television and cell phone companies.8 Among other things, an in-depth account of this participatory culture would need to trace and analyze the ways in which fan participation intersected with the interests and motivations of local businessmen, politicians, and varied civil society groups. I would also argue against situating this phenomenon within the domain of a “cultural” public sphere and theorizing it as an interruption or intervention into the domain of ‘the’ (political) public sphere. Furthermore, we also need to consider the role played by mobile media technologies – public telephones, cell phones, and cybercafés – in reshaping the terrain of everyday life and engendering new forms of sociality around television entertainment. Taking all this into account, I would like to posit the term mobile publics as a way to draw attention to the centrality of mobile media technologies to the formation of publics, highlight the fluid and ephemeral nature of these publics, and suggest that the transient nature of mobile publics allows for the articulation of new cultural and political possibilities that might not be possible in more formal institutional settings. Indian Idol-3 was a crucial media phenomenon precisely because the publics that cohered around Amit Paul created the possibility and the space for the renewal of everyday forms of interaction across ethnic, religious, spatial, and linguistic boundaries that had been subdued and rendered difficult, if not impossible, over the decades. 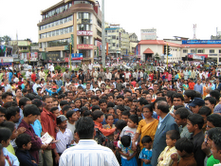 And as numerous news reports suggested, this renewal of everyday engagement between different people — at rallies and other public gatherings, fan club meetings, in queues at public call offices and so on — also evoked the cosmopolitan past of cities like Shillong and sparked discussions of how that cosmopolitanism could be a vital resource in struggles to overcome ethnic divisions. At one level, the term mobile publics relates to the emergence of a hybrid mediascape and the development of technological and cultural capacities to circulate and share ideas, images and information in ways that were not possible earlier. At another level, it is important to recognize that mobile publics are more than just collectives that are informed and/or networked through new communication technologies. Mobile publics need to be understood more broadly as interventions that evince, if only momentarily, new cultural and political possibilities within the realm of everyday life. Indeed, mobile suggests that these publics are open-ended social formations that can be harnessed for different projects in unexpected ways (consider Prashant Tamang and Gorkha nationalism). Will such a renewal of interaction and engagement sustain itself over time? Can mobile publics strengthen other efforts to resolve long-standing tensions in Meghalaya? How might we trace and assess the impact of mobile publics? How do mobile publics intersect with and re-shape other spaces of conversation? These and other questions that emerge suggest not only the need for further critical examination, but also that the term mobile publics does not have to be limited to the socio-political context of northeast India or reality television. Perhaps we can look further afield and consider audience responses to the racialized dynamics of U.K.’s Celebrity Big Brother involving the Bollywood star Shilpa Shetty or varied uses of mobile media technologies to mobilize political action in Pakistan in 2007-08 as instances in which mobile publics played a key role. 2. Amit Paul Fan Club gathering. Picture courtesy of Arijit Sen.
Great article, Aswin! I particularly like your use of the term “mobile publics” as a way to help understand the nuetral space Amit Paul’s celebrity was able to create amongst the decades-old strife in Meghalaya. I do think it would be worthwhile to consider mobile publics at work in other television and political arenas, and hope to see more research on this soon!